Imagination - To gate or not to gate? 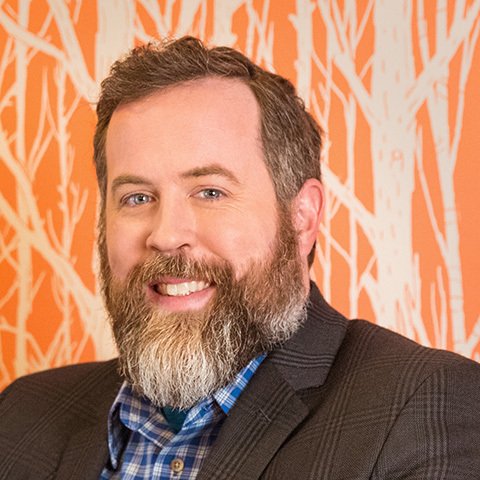 “We always ask ourselves, what content can we create that people would be happy to exchange their information for?” says Lindsay Kolowich, senior marketing manager for HubSpot, a marketing software company with a track record of experience and experimentation in the practice of gating content. 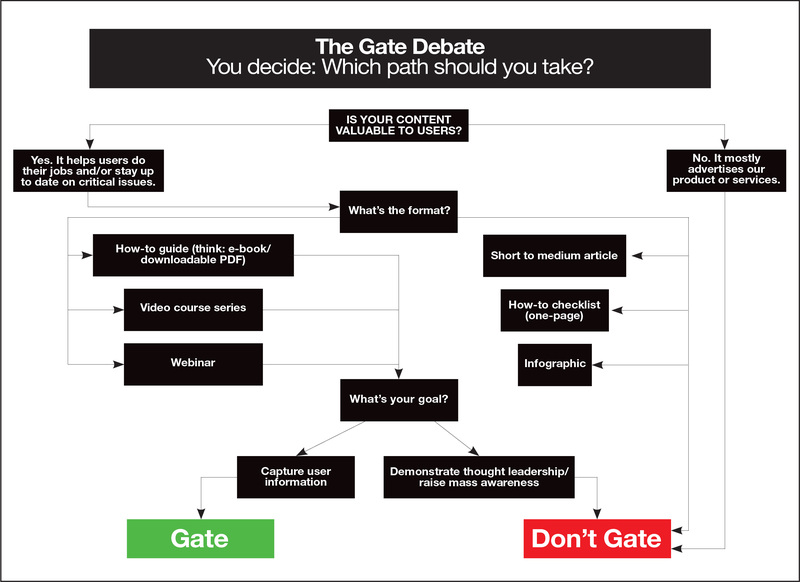 The gate debate doesn’t yield a simple conclusion. Every content program comes with its own business objectives, goals and audiences. A program designed around mass awareness may skew toward open access, for example, while a lead-gen campaign will use selective gating to gather information about your readers. Still, a few deeper questions can lead you to a sound strategy. Start with these four. Even if you’re providing content free of charge, it needs to offer clear value. A transaction is taking place even if no money changes hands—X content for your information—and transactions work best when both parties walk away with something. This mindset often leads to a “premium” approach to gated content. Comprehensive guides, data-rich whitepapers and similar premium pieces that promise to help readers in their professional lives feel more valuable and are less likely to be duplicated elsewhere. For example, Kolowich says HubSpot has had its best results with e-books, live video webinars and master classes that feature subject matter experts—in other words, insider, high-level resources that help professional marketers do their jobs better. So be selective with your gating, and when you create premium pieces, think about what perspective or practical wisdom only your organization can provide to set it apart from the free resources that are readily available. Is it the right content type and format for gating? Hence the prevalence of guides, e-books and long-form reports that promise proprietary data or industry insights. For instance, a pay-per-click software company such as AdStage might offer a simple proposition: Give us five to six bits of information, and we’ll give you PPC benchmark data for Facebook, Twitter, LinkedIn and more—data you can use in your own work. The user gets value; the company gets a warm lead. Consider this, too: That report or guide is still worth delivering as a PDF, even in 2019. When HubSpot tested partial gating on long-form digital pages—an alternative to the traditional PDF delivery—it seemed as if the user experience would be one of instant gratification. If users filled out the form, the rest of the content would suddenly appear before their eyes. And remember there’s one other benefit of the classic delivery-via-PDF process: the thank-you page. That’s valuable real estate for making a connection and delivering even more content based on a person’s stated interest. Is it valuable to people who don't know you already? For example, associations often face the need to not only serve existing members but also cast a net to find new members. These two needs create a natural tension: You have the urge to gate all of your ongoing content as a pure member benefit, but if you do so, how will the people who aren’t yet members see your value? There’s an added challenge when you consider exactly how you’ll gather data on those prospective members. Rand Fishkin, formerly of Moz and now of SparkToro, offers some helpful guidance in one of his iconic whiteboard sessions. For any content program (or individual piece of content), weigh the importance of audience size or reach and ongoing marketing benefits versus the need for detailed information on readers. If the former outweighs the latter, maintain open access. If the latter outweighs the former, consider gating. Under that formula, your daily digital news and recurring magazine content are often going to be most valuable to you as a way to prove your expertise to readers. Then convert them with specialized, premium one-offs that help them do their jobs. That’s good as a general rule, especially for associations, but as Fishkin also points out, open access and gating aren’t all-or-nothing prospects. There are always exceptions. Even Moz keeps one of its most valuable pieces of content, the ever-present and often-cited Moz Beginner’s Guide to SEO, in front of the gate, presumably because it is the company’s own gateway to authority. So your end goals matter. And so does the funnel. Any strategic discussion about gating should also include a conversation about where content fits into the sales funnel. As a basic guideline, it’s wise to keep top-of-funnel content open and free to all. You want as many readers as possible to find your expertise and industry insights—all delivered in ongoing coverage via articles, infographics and other content types. But as you go deeper into the funnel, and as readers trust you more after increased exposure, limited gating opportunities open up. A mid-funnel article with detailed how-to advice offers the possibility for a newsletter sign-up, aka subscription-gen. And then, even deeper, a premium guide on a topic of interest to them is more likely to yield information via true gating such as lead-gen forms. Even with those bottom-funnel pieces, there are ways to blend open and gated content to get users to supply the data you desire. You might offer a small portion of a whitepaper or guide for free, with a prompt to supply information to get the full guide, for instance. With that said, Kolowich offers another note of caution on the latter “partial gating” approach. Testing at HubSpot has shown that it works best on content that already has some established search authority. In other words, if you run an ongoing program of reports and premium guides, choose the ones that are already performing well in organic search as candidates for partial gating. And don’t forget that your form, and the amount of information you ask for, will vary based on your goals or content types and sometimes can be expanded in steps along a user journey. Kolowich gives the example of HubSpot Academy’s video series. The landing page has the entire first video available for free. If users like what they see, they sign up for more using a relatively simple form. Future interactions may yield increasing amounts of information. Your own answers, and approaches, will vary based on your ultimate goals, needs and audiences. But in any case, be sure you’re asking questions before you ask too much of your audience.